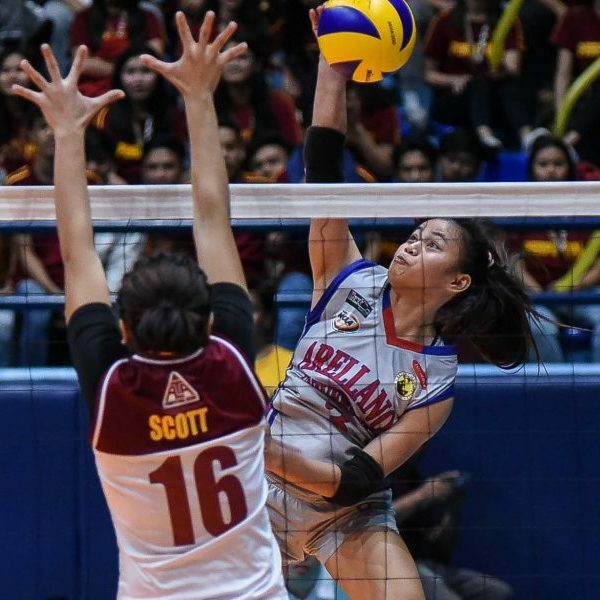 Arellano University still has a chance at a three-peat after beating University of Perpetual Help System DALTA-Atlas (UPHSD Altas) 23-25, 25-9, 25-18, 22-25, 15-12 in Game 2 of the NCAA Season 94 women’s volleyball finals at the San Juan Arena and forcing a decider. Game 3 is scheduled for Wednesday. Tournament MVP Necole Ebuen tallied a double-double with 18 points and 18 digs for Arellano, while Princess Bello also scored 18 markers.